cook my first risotto last evening! I have the bulk of a 2.5kg bag of USA 松鹤 (no english name but I guess it is matsutsuru in literal translation?) Shakaku premium rice – which I think is a medium grain rice – lying around. I bought these in Giant hypermarket when I was trying out a paella mixta for a homecooked (kind of Spanish theme) dinner for friends as I didn’t know where to get aborio rice (still don’t!). Though the paella turned out kind of ok taste-wise (quite good tasting) based on the recipe I used, the texture was really quite far out. 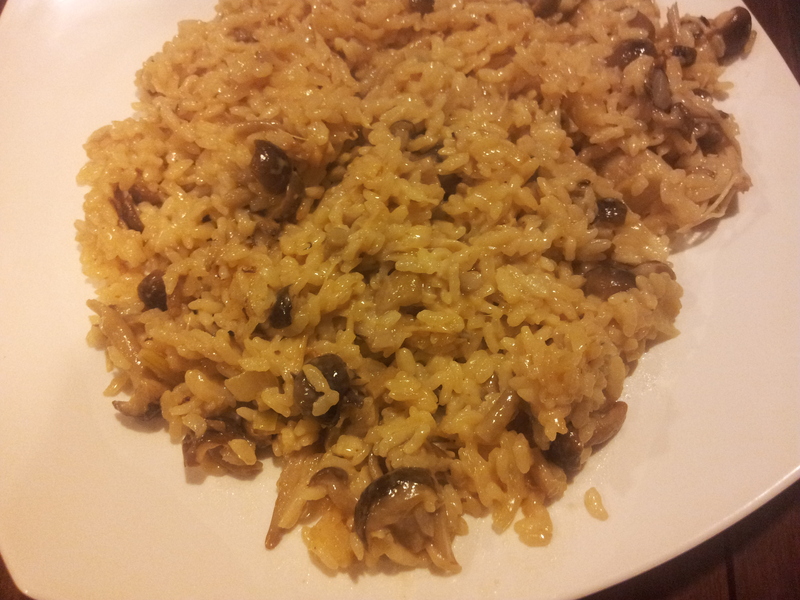 Anyhow I have not found other use for the rice and I don’t quite fancy cooking paella mixta that often when it is not quite ideal in the visual & texture departments & also it takes a bit of effort to prepare (when c/w this mushroom risotto which requires almost no effort!). So I actually decided only at very last-minute to cook this & it was done like in 35minutes (only because you needed to put it in the oven for 16minutes). It was far better than I expected as I was also not certain whether my Shakaku rice would do for this recipe. So yes it really made my day! cut and wash the mushrooms, put these in an oven-proof skillet with 1 chunk of butter (20g) and a large pinch of salt on high heat and cook/sweat for 10minutes on medium heat OR until the liquids evaporated off. add chopped yellow onions and cooked for a few minutes until soften. add a cup of washed Shakaku rice, stir to coat the rice completely and then add 1 cup of chicken stock, bring to boil and drop to low heat and stir. When the liquids evaporate off, add another cup of chicken stock and when it started to simmer, place skillet in a 205degC preheated oven for exactly 16minutes. return skillet to stove, add another cup of chicken stock, bring to boil and stir on low heat. taste the rice for texture & flavour to see if it is cooked to your preference, add another cup of chicken stock (if required) and stir. add 2 tablespoon of heavy cream and sea salt to taste. Serve. 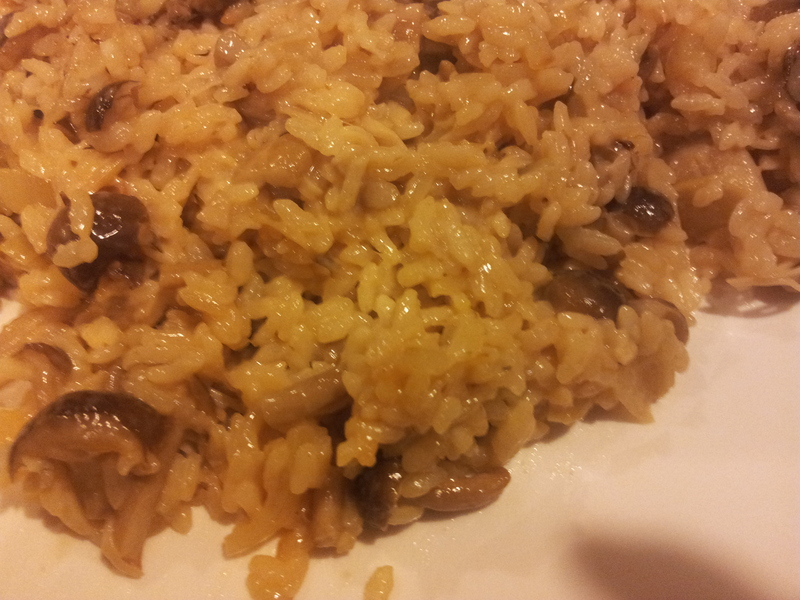 This entry was posted in Recipes and tagged mushroom, risotto. Bookmark the permalink.